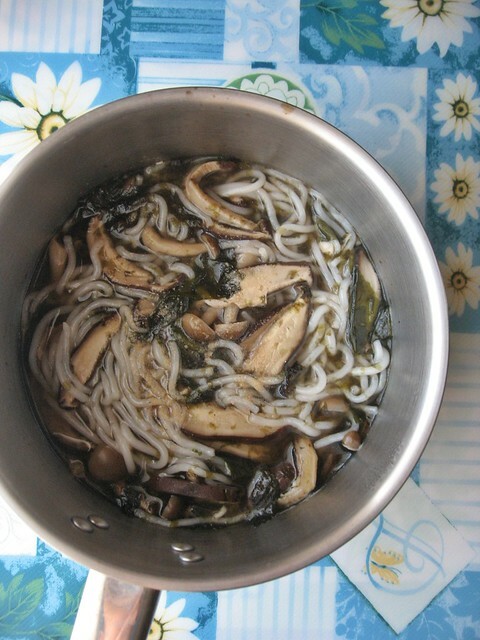 This recipe is similar to Seaweed, Fresh Shiitake Mushrooms and Spinach Soup, however made simpler this time (without spinach) with wakame seaweed and two kinds of mushrooms - fresh shiitake mushrooms and bunashimeiji beech mushrooms. 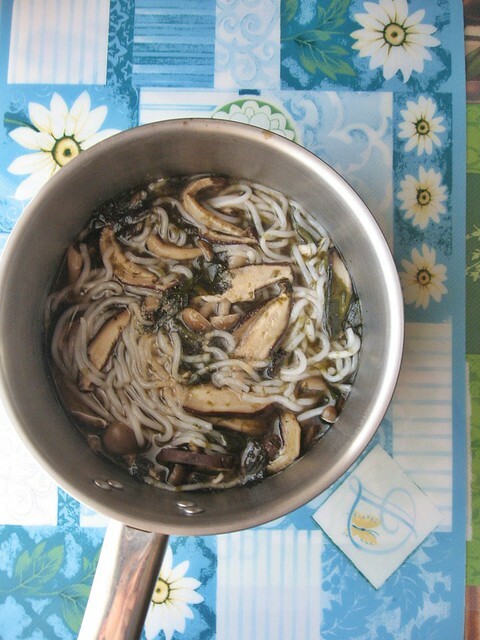 To save time, fresh mushrooms are added directly to a simmering pot of soup. However, if you have a little more time on hand, mushrooms are more fragrant (making the soup more flavorful) when lightly sauteed before they are added to the soup. Directions: In a pot, lightly saute the garlic and mushrooms in a little oil. When mushrooms start to soften, add water to submerge the mushrooms, and let it simmer for 10 minutes or more till mushrooms are cooked. 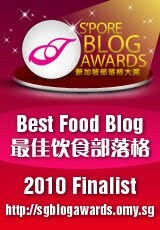 Add wakame and nori seaweed and simmer for 5 or more till all the flavors combine. Add cooked rice vermicelli. Salt and ground white pepper to taste.